Dr Alia Nasser graduated from the University of New South Wales in 1997 with a Bachelor of Medicine and Surgery (MBBS). After undergoing extensive training in surgery, paediatrics, obstetrics, gynaecology and emergency medicine, she obtained a Fellowship with the Royal Australian College of General Practice (FRACGP). Through her work in general practice, Dr Nasser developed an interest in dermatology and skin cancer which prompted her to undertake a Diploma of Dermatology from Monash University. 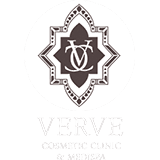 After completing this accreditation, Dr Nasser’s began to focus on cosmetic medicine. She was one of the first doctors to start a training program with the Australasian College of Cosmetic Surgery (ACCS) and has since become a Fellow of the College (FFMACCS). She is also a Board Certified Member of the American College of Regenerative Medicine (ABBARM) and finished a Fellowship in Anti-Ageing and Regenerative Surgery Medicine (FAARM) from the Australasian College of Anti-Ageing Medicine (A5M). Dr Nasser has been practicing cosmetic surgery for over 15 years and is dedicated to the advancement of ground-breaking medical procedures and anti-ageing treatments to detect, prevent, and treat ageing-related issues. She aims to achieve total rejuvenation for her patients by treating both the outer beauty and the inner wellness of her patients. Dr Nasser wants all her patients not only to look fabulous, but to feel fabulous too. With a vast experience in achieving facial rejuvenation using minimally invasive techniques, Dr Nasser believes in enhancing her patients’ appearance while maintaining a natural result. She prides herself on her technique, providing the utmost care and understanding when dealing with her patients. Maintaining the highest treatment standards and providing patients with the newest innovations in cosmetic surgery has always been a priority for Dr Nasser. This is why she attends regular conferences and workshops both in Australia and overseas to keep abreast of the latest surgical techniques and cosmetic technology. Over the last few years, she has attended advanced hands on training courses in the United States with leaders in the fields of cosmetic surgery. She has also attended further training with pioneers in Liposculpture like Dr Georgio Fisher and Dr Pierre Fournier and has personally performed more than a thousand Liposculpture procedures. As well as undergoing training courses to enhance her skills, Dr Nasser shares her knowledge with the medical community, teaching doctors and nurses advanced laser techniques. She also shares her professional expertise with the public, appearing as a guest speaker on Channel Nine and radio and giving her expert opinion on cosmetic medicine topics to magazines like Vogue, Woman’s Day and Madison.